The preconceived notion that owners of a company car drive more private kilometres compared to those who have their own car is not correct. This is the conclusion of a major study by traffic safety institute, Vias. “Since company cars are in general more recent, they pollute less and contribute to the renewal of the vehicle fleet”, says Benoît Godart, spokesperson for the Vias Institute. According to the study, carried out among more than 10.000 Belgians, the user of a company car of maximum for years travels on average 31.343 km per year, compared to 16.858 for a private car. The average distance per trip is 28,2 km and 18,6 km respectively. The distance is also significant in terms of average speed: 55 km/h for company cars and 51 km/h for private cars. This is due to a preference for the highway and a greater commuting distance. This type of travel represents 30% of the reasons for taking a company car and 19% of reasons for taking a private car. For recreational use, the rates are similar: 24% and 26%. On the other hand, private cars are much more used for shopping, 35% compared to 23%. There is a lot of criticism against company cars, but our study shows that users do not abuse them outside business trips, points Julien Leblud, author of the study for Vias. Anyone who has a company car only drives four more private kilometres per day. In relative terms, company cars are used even less for leisure activities or shopping. The only exception are the holidays. “When it comes to going on holiday, the company car is often the preferred choice”, notes Vias. “There is more to it than that, though. Many people use it for business travel in neighbouring countries, hence the strong difference on an annual basis between the travelled km abroad between a company car (6.056 km) and a private car (2.666 km). 10% of all cars driving around in Belgium are company cars. In Brussels and Flanders (12% and 10%) there are significantly more than in Wallonia (6%). The higher the diploma, the more likely it is that someone drives a company car. Especially business managers, people from higher and middle management, employees and small and medium-sized businesses have one. There is almost no discrimination between men (10% of respondents) and women (9%) in the use of this type of vehicle. 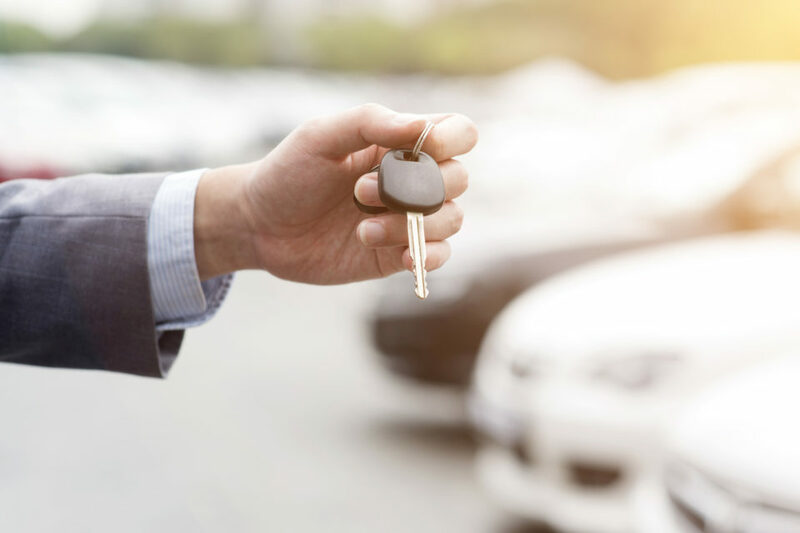 As for the age of users, the population owning a company car is generally younger, with a sharp drop in ownership around 60-65 years of age, the (early) retirement. Several car brands are very present on the company car market. This is the case for Audi (3 times more present), BMW (2,6 x) and Volkswagen (1,5 x). German cars dominate with 57% of the total. 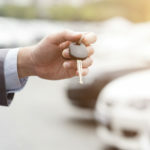 In connection with the choice of the car, the Vias Institute calls on companies to think carefully about the vehicle model they entrust to their young employees. It is better to avoid small cars. According to the Monitor survey conducted jointly by the FOD Mobiliteit (Federal Public Service for Mobility) and Vias, it appears that the driver of a company car, aged up to four years, is confronted with a dangerous situation every 1.393 km (against 1.693 km for cars for private use). In other words, company cars, which are generally of the highest quality, are not only more ecological, they are also safer because they are better equipped with safety systems.